The Halene Accent Chair by Studio 47 at Morris Home in the Dayton, Cincinnati, Columbus, Ohio, Northern Kentucky area. Product availability may vary. Contact us for the most current availability on this product. With infinite grace and whimsy, the Halene updated wing back look is the perfect accompaniment to any room. 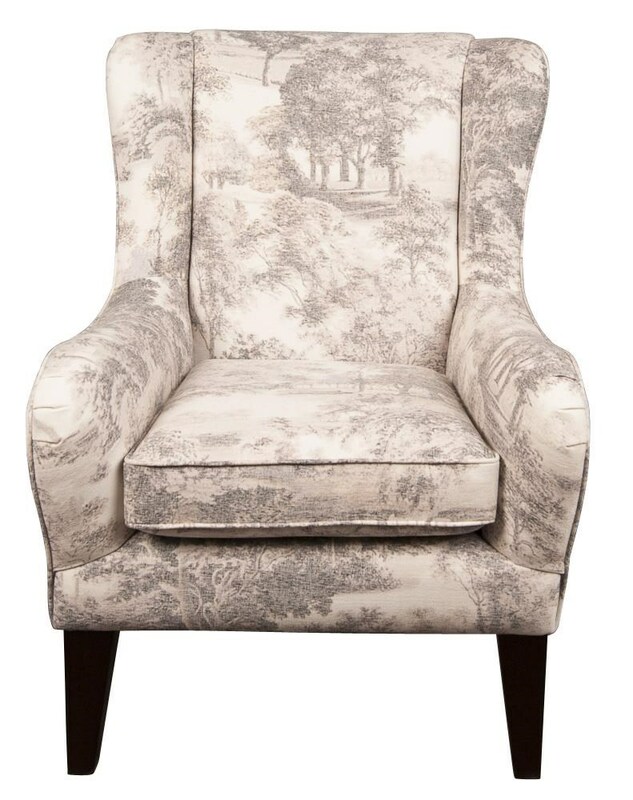 Customize this accent chair with a simple understated solid or an ornate, vintage-inspired pattern. The Halene features a reversible seat cushion that ensures years of comfort. Any fabric will look fabulous paired with your choice of select finishes on the wooden column legs. The Halene collection is a great option if you are looking for furniture in the Dayton, Cincinnati, Columbus, Ohio, Northern Kentucky area.